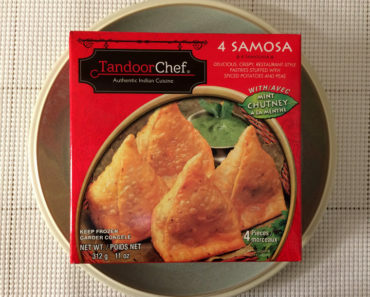 Tandoor Chef is a frozen food brand that just doesn’t get enough recognition. 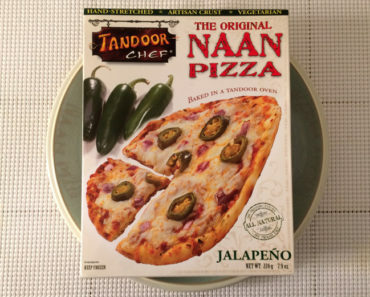 They make fantastic authentic Indian dishes, like the Chicken Tikka Masala, and they even make some amazing naan bread pizzas. 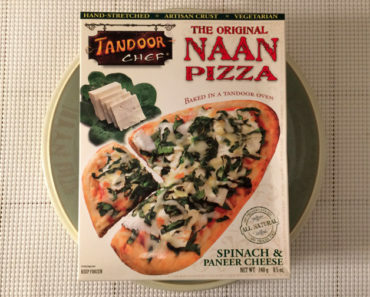 Yet, when we talk to people about frozen food, hardly anyone seems to have heard of this truly wonderful brand. While we know we’re not changing the world, the least we can do is let our readers know about how great these meals are. 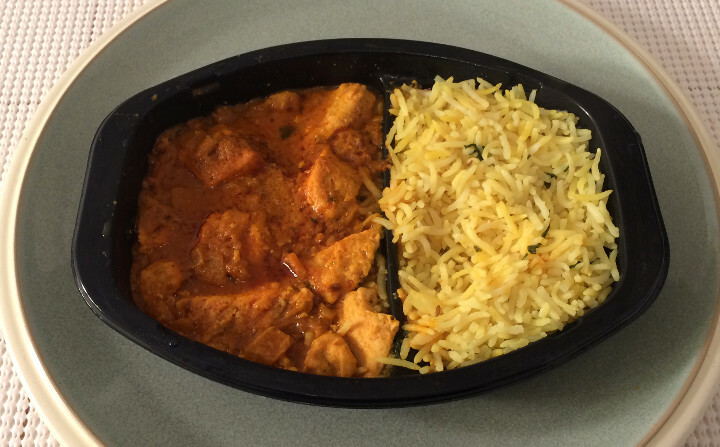 That’s why we decided to check out the Tandoor Chef Chicken Curry with Seasoned Basmati Rice and report our findings back to our lovely Freezer Meal Frenzy readers. The tray this comes in has a nice little divider between the chicken portion and the rice portion, though some rice will inevitably jump the fence. In fact, our meal had rice in the chicken side before we even cooked it. But that’s not a big problem, since these are actually designed to be mixed together. You’ll likely find yourself scooping heaps of rice into the curry sauce with your fork. The chicken is downright amazing. It’s tender, juicy, and loaded with flavor. It comes swimming in boatloads of curry sauce as well, which only makes it better. 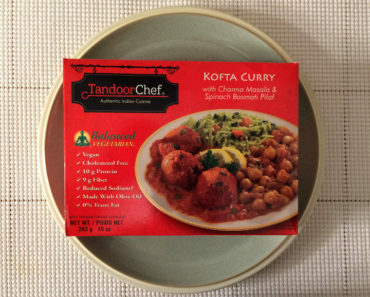 Few frozen food brands can make curry sauce as well as Tandoor Chef. This is one of those meals that will have you scraping the edges of the dish to get absolutely every last drop. The rice is the perfect side for this dish. It’s a little bland on its own, but it really sings once it’s bathed in a little bit of that curry sauce. Of course, there is a ton of rice here, so you’ll run out of sauce long before you run out of rice. At that point, the rice becomes just okay. The box assigns this a medium spice rating, which made us a little nervous. 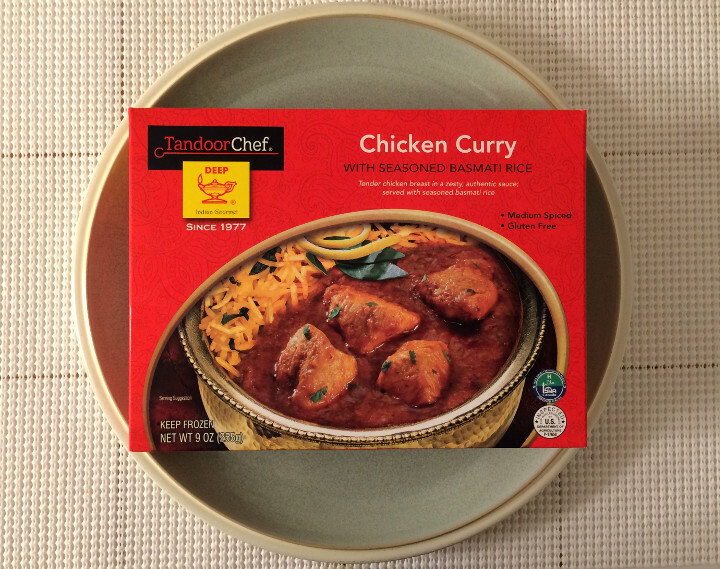 While medium tends to be pretty mild in the world of frozen food, it can be pretty intense by Indian food metrics. We weren’t sure if this was going to be a total spice bomb or just something with a little bit of kick. Well, this is definitely spicy, so spice-ophobes should steer clear, but it’s not enough to chase away people with a normal level of spice tolerance. Yes, it will clear out your sinuses. No, it won’t send you screaming into the kitchen to find some milk to dowse a severe tongue fire. This isn’t too heavy a meal, with only 320 calories (110 from fat). It’s also gluten-free, so this a great-tasting choice for anyone who’s avoiding gluten. Of course, this does contain about 750 mg of sodium, which is a little on the high side. The Tandoor Chef Chicken Curry with Seasoned Basmati Rice is downright amazing. If you’re reading this, you should definitely give this a try. And, if you like it (which we think you will), tell all your friends about it. 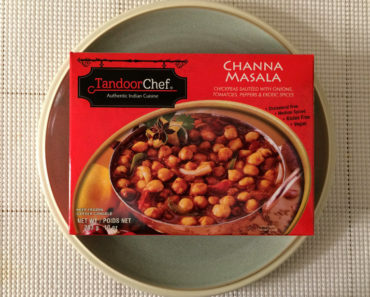 Tandoor Chef really deserves to be a household name! 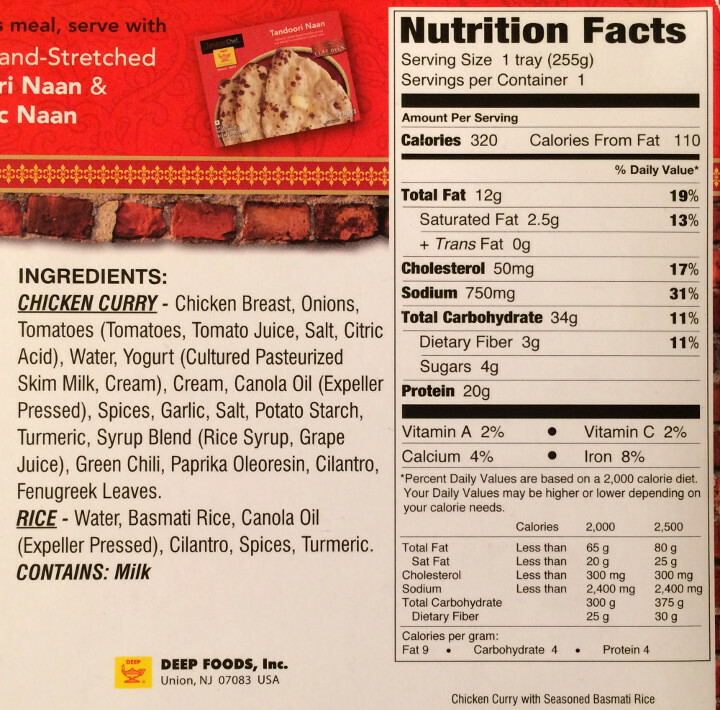 To learn more about the nutrition content and ingredients in this frozen curry dish, check out our package scan below.